Modbus remote I/O module with RS485 Modbus/ RTU interface, 8 universal (analog or digital) TTL level inputs or outputs. Suitable also as a Wiegand converter or 1-wire temperature sensor interface to Modbus/RTU. The Barix X8 is a universal Modbus I/O module with serial RS-485 Modbus/RTU interface. Eight universal inputs or outputs can be independently programmed to act as digital or analog inputs with a programmable pull-up resistor, or as digital outputs. 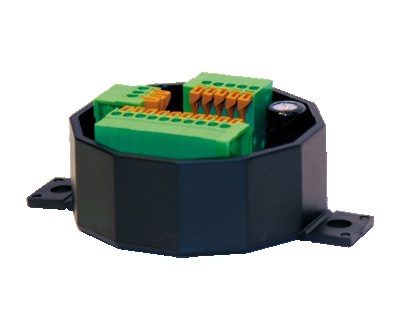 The X8 can be used to interface to I/O, wiegand enabled readers/keypads or Dallas 1-wire temperature sensors. It can be used as a general-purpose Modbus I/O module or it can be interfaced to the Barionet using the Barionet’s built-in RS-485 interface and BCL code to implement the Modbus/RTU message protocol. 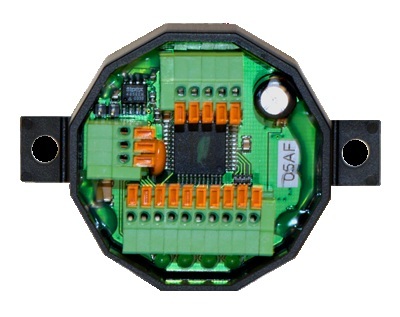 Eight independent configurable inputs/outputs, TTL level, programmable pull-up resistors.